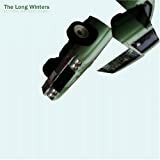 The new Long Winters' Putting The Days To Bed disc, is by far the highlight of this week's music releases for me. With so many discs coming my way early, my preorder list had only one item, Adam Green's Jacket Full of Danger. I filled some holes in my animation collection by preordering the first seasons of Boondocks, Animaniacs and Pinky and the Brain last week. I'll head out tomorrow to pick up the Beastie Boys' fan-shot documentary, Awesome, I Shot That. What can you recommend from this week's list?